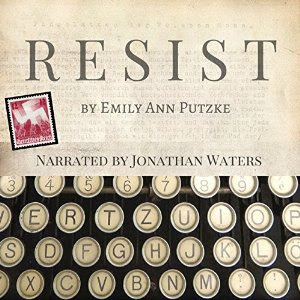 Today I'm excited to share an interview with Jonathan Waters, narrator of the Resist audiobook which is now available for purchase! 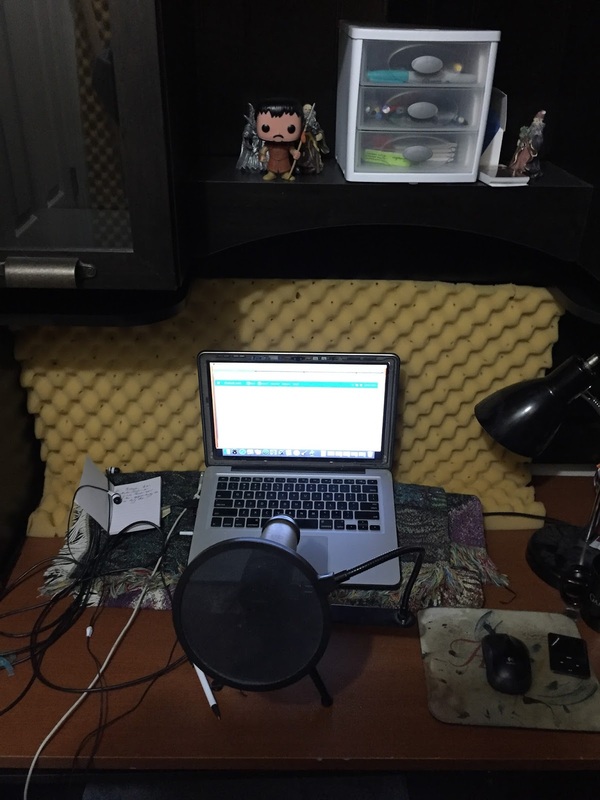 If you're wondering about the process of making an audiobook or curious about voice actors, pull up a chair! I'm an actor first and foremost. I've been classically taught at Boise State University (the one with the blue football field). I was born in Boise and love it here, but I'll soon be going to L.A. to pursue acting in all its forms. I've been working through ACX (Amazon Creation Exchange) for about four and a half years now where I've done over 35 audiobooks. Most of them are pretty well reviewed which gives me hope for the future. At this moment I'm directing a feature film, Shakespeare's "Twelfth Night." It's one of the few independent films to come out of Idaho. It's exciting and extremely stressful. I've always wanted to be an actor. Character voices and accents come pretty easily to me. 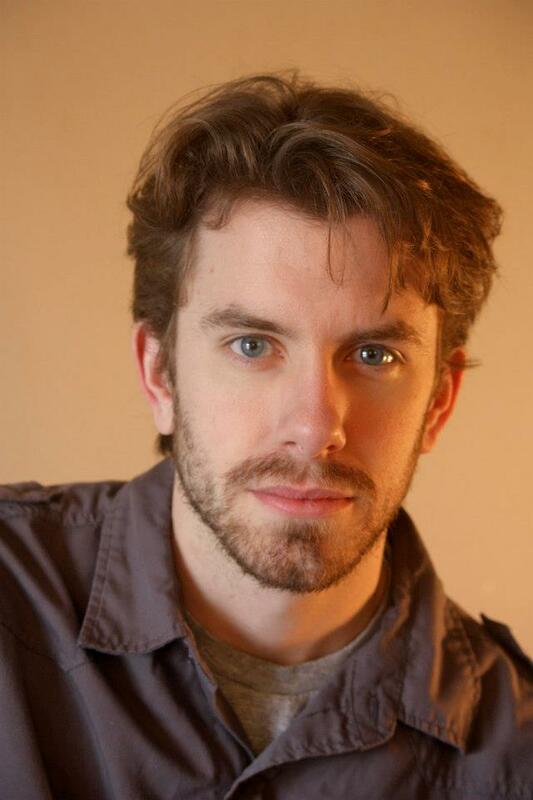 I wanted to be an actor since Kindergarten. In my younger years, and still now, Jim Carrey was very much a source of inspiration to imitate with all of his explosive energy. I watched cartoons as a kid and Batman: The Animated Series was always the highlight of the night. At one point I realized, "Oh ... there's actual people who do these voices." Real people like Kevin Conroy, Mark Hamill, Steve Blum, Tara Strong, who get paid to do these things for kids who will grow up and go, "Wasn't that awesome?!" I wanted to be among them. Like any actor, putting your name up in lights is the ideal setting, being rich and famous. So, that's always the aim and the goal. I have a very meager set up but it's pretty a-okay for the quality of sound I get. I use a C-1u mic and Skull Candy headphones. I have a small desk stand and a pop screen. I use my Mac laptop but would love to get a better one and dual screen it. To kill some of the sound I use old memory foam, egg crate - stuff that I stole from my parents. I do this all from my apartment's walk in closet so the clothing also deadens the sound. The picture I provided is pretty much my set up. Yes, you see a small Cheetos bag and, yes, Oberon Martell is on the shelf above me. What was your favorite part of Resist to narrate? I really enjoyed the leaflet chapters. I liked the lecture quality and the idea that this group was really opening people's eyes. They were waking people up to see what the Nazis were doing, despite the fear of getting caught. The work it took to get the leaflets out to people was a task. Now you just type something up and it can be anywhere in an hour. Even less. What was the hardest scene to narrate? Definitely one of the last ones. Mostly because I got the gut wrenching idea of having people go before you to their execution in my head. 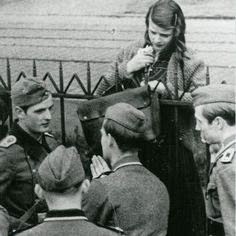 The idea of seeing their blood before you was, for me, really shocking and put myself looking inward. What do you do? What can you do? In some ways you'd never see it, never really visualize it except in your head which is potentially better than seeing your sister getting guillotined. On the other end, for me at least, I wonder how quickly it would be and where the bodies would be taken. What these evil men would do after you're gone? Is your head going on a spike? Are they laughing, joking, mocking you? The want and need to be respected was real for this group. But I don't know how you wouldn't scream at that ... scream knowing the blood is your sister's and "brother's." Knowing also that you had damned so many weighed on me as I read. Any other projects you’re working on now? I'm directing the feature film, Twelfth Night. I'm also doing a re-reading of The Silver Serpent, one of the first books I did through ACX, and potentially a prelude to the Wolf Creek Saga next month. I keep fairly busy. What’s the best piece of acting advice you’ve received? Acting is reacting is a little cliche but it's a great piece of advice that many actors may not have. Acting is tough. It should make you uncomfortable and afraid. I've said to people, "Think of the worst time in your life. The lowest you've ever been. Get there emotionally. Physically. Now do it differently. Again. Again. Again. Again. This time go bigger." There's certainly some variation with this, but the idea of taking a bad time and having to relive that moment before a crowd and be judged accordingly is daunting to say the least. Acting, like anything that people become good at, needs a full immersion of self and soul. Actors, true actors, are constantly working because life is everywhere ... stories are everywhere. The question is, how do you bring them to life? How do you live in them? How can you bring that to someone else to tell them a story and, God willing, change them? Actors and any other artists, much like priests, are dealers with the soul. If you have any questions for Jonathan, you can contact him through ACX or email him at jonwaters@u.boisestate.edu. When you purchase the audiobook of Resist, you get 5 entries in the $50 Amazon gift card giveaway!